The Bulgarian audience in about to have the amazing opportunity to watch again the Pulev brothers in the same gala. They will go one after the other in Arena Armeec in Sofia on 27 Oct for their part in an amazing boxing night which is organised by Kubrat Pulev’s new partner – american promoting company EPIC SPORTS, presented by Ivaylo Gotsev. 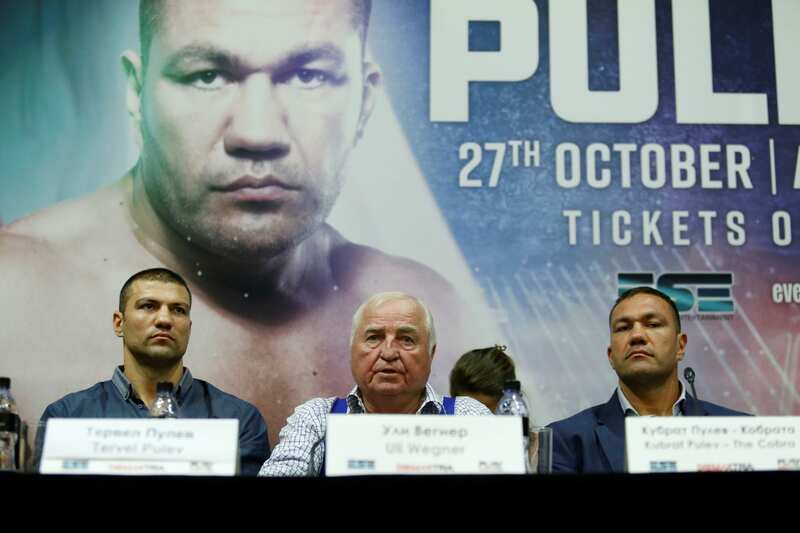 On 27 Oct in “Arena Armeec” the cherry on top will be the elimination fight between Kubrat Pulev and Hughie Fury. In the end we will know the name of the official contender for the world title of IBF – a belt that belongs to Anthony Joshua, even though the Brit is facing a fight with Alexander Povetkin on 22 Sep.
28 Oct is a date that can become a historical for Tervel Pulev as well, who is given the opportunity to bring for the third time to the Pulev family the European title for professionals. In order for that to happen, Tervel (a bronze medalist of the Olympic games in London 2012 in semi heavyweight) has to defeat the Argentinian with Italian passport Leonardo Bruzzese in the ring of his home town. If the little Pulev brother is able to win, he will triumph with a Continental title in professional box – a peak his older brother reached twice in his career (once on 5 May 2012 in Erfurt when The Cobra knocked out Alexander Dimitrenko, and the second on 7 May 2016 in Hamburg where he fought in a 12 round tactical match with Dereck Chisora). Up until now Tervel Pulev has 11 victories with 11 knockouts in professional ring.